The HE2K-DCK-1x is a compact encoder system designed to enhance Sony’s FCB-EV Series block cameras. 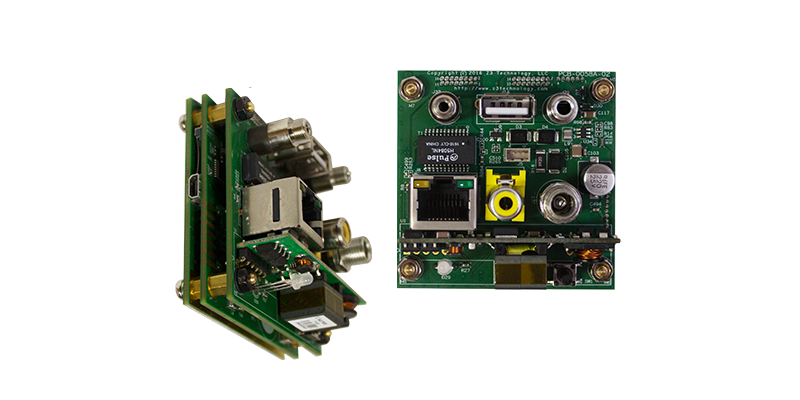 The hardware consists of encoder boards capable of encoding H.265 and H.264 video in HD resolutions. The boards feature on-board interfaces including GigE, USB 2.0, RS-485, audio input, Micro-HDMI output and Composite output. These features combined with the existing capabilities of the Sony block camera allow for a complete compact HEVC HD video encoding solution. Users are able to purchase the HE2K-DCK-1x as an OEM starter kit or a complete package that includes an optional enclosure for the entire solution.